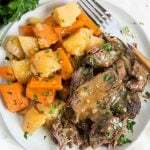 Food is a huge part of the holiday season, and when your food matches the holiday? 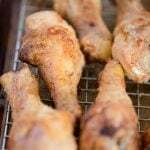 Well that’s all the more fun and special! 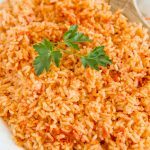 Here are some pretty and festive appetizers and side dishes to decorate your table with for the Christmas season. 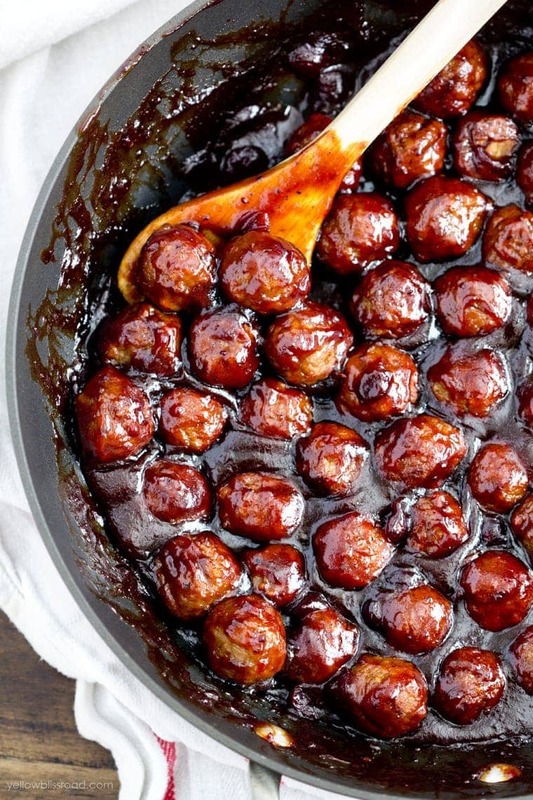 Spicy Barbecue Cranberry Meatballs – The bright red from the cranberry makes these meatballs a winning appetizer! 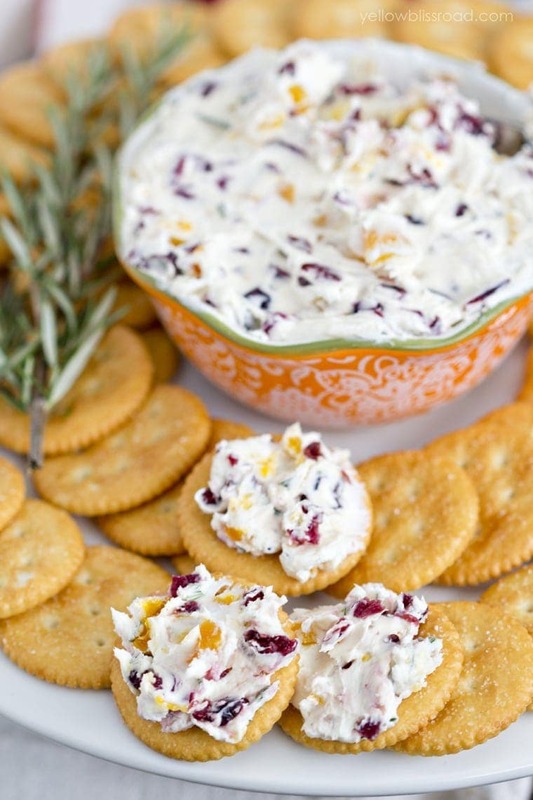 Cranberry Rosemary Cream Cheese – The red and green from the cranberries and rosemary are so festive – and they just taste like Christmas! 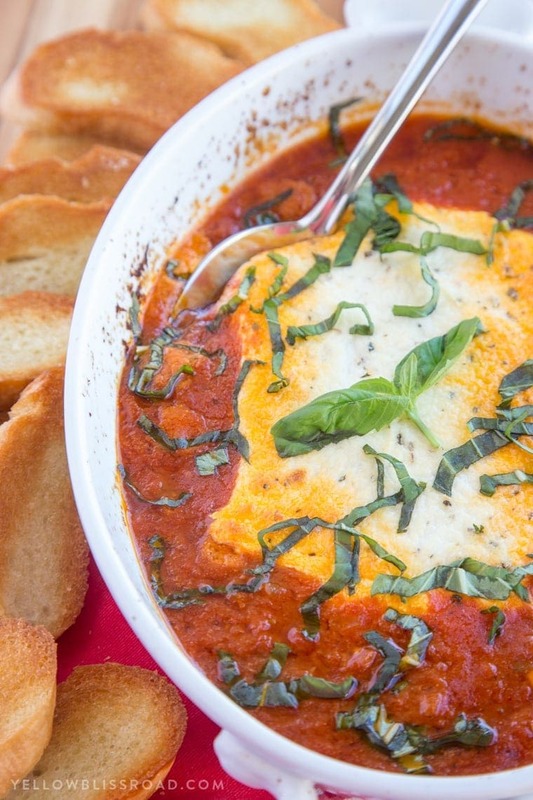 Goat Cheese Marinara Dip – The basil is what makes this dish so stunningly beautiful! 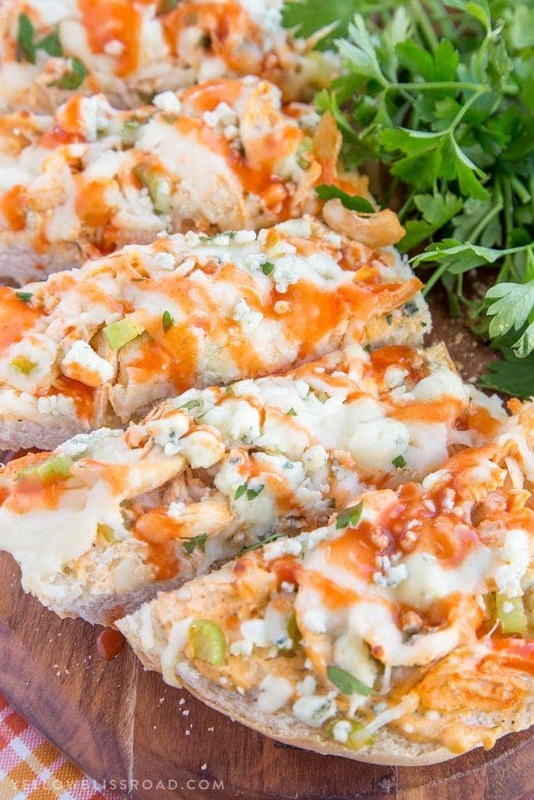 Buffalo Ranch Chicken French Bread Pizza – almost too pretty to eat! 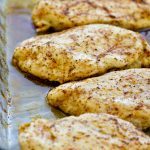 Skinny Southwest Chicken Dip – Traditionally this seems like a summer dish, but it’s so colorful, with red pepper and green onions, it just screams “holiday” to me! 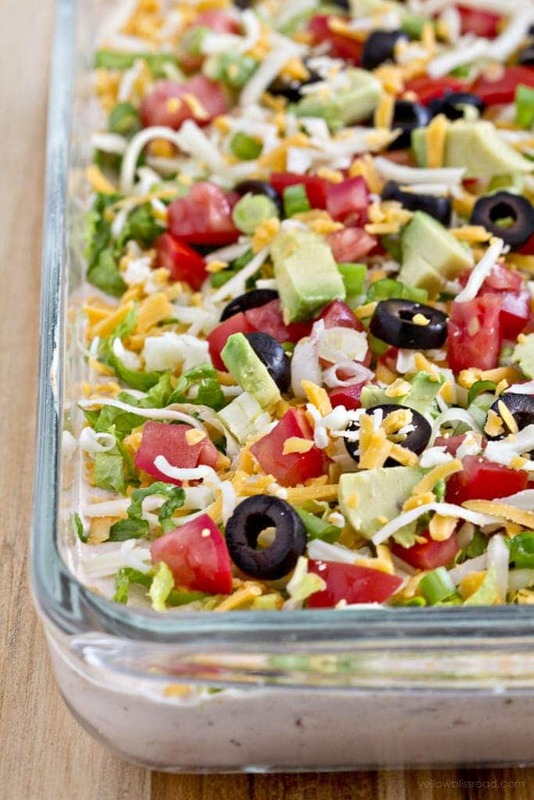 Skinny Taco Dip – More red and green to grace your table – how fun would it to make the lettuce and tomatoes into the shape of a Christmas tree?! 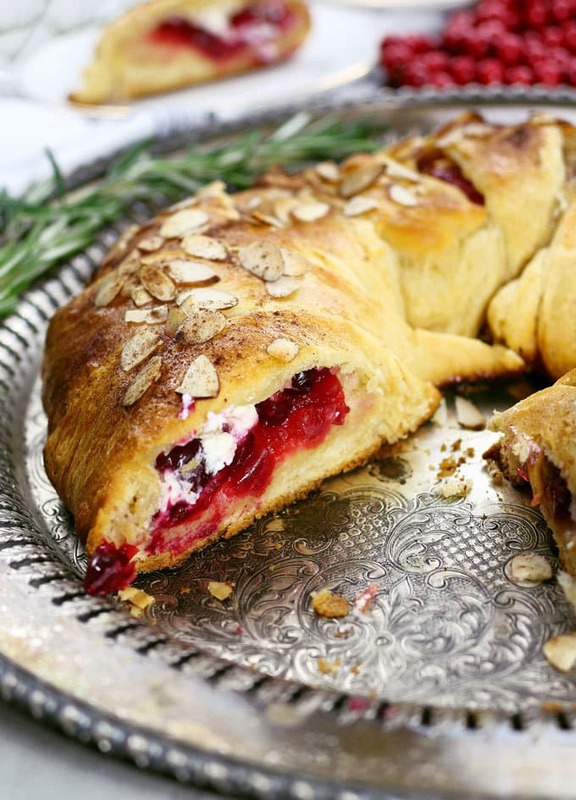 There’s just something about the goat cheese and cranberry combo in this Goat Cheese & Cranberry Crescent Ring from Honey & Birch. 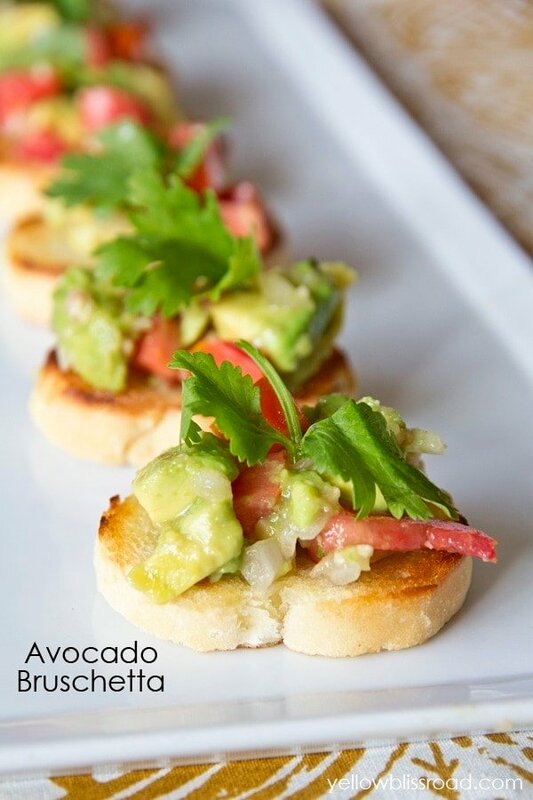 More red and green in this festive Tomato & Avocado Bruschetta. 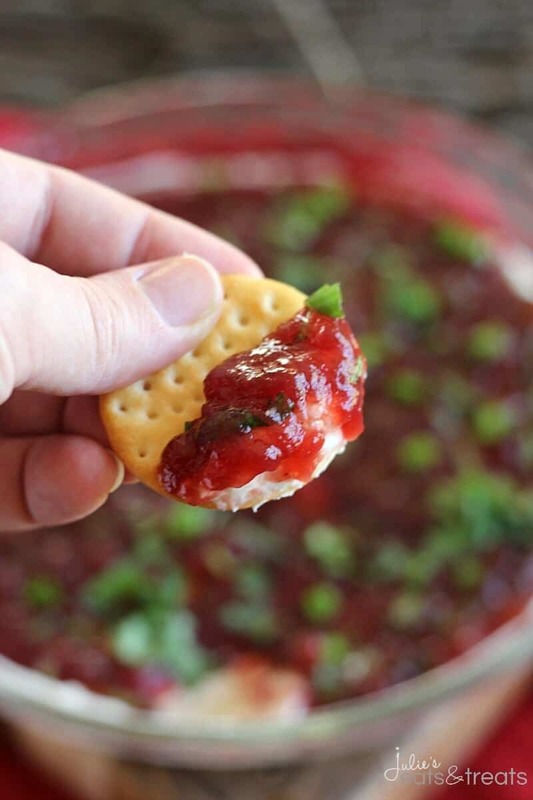 Cream Cheese Cranberry Dip from Julie’s Eats & Treats – Beautiful and so easy! Who wouldn’t love this Veggie Wreath from Meatloaf & Melodrama? 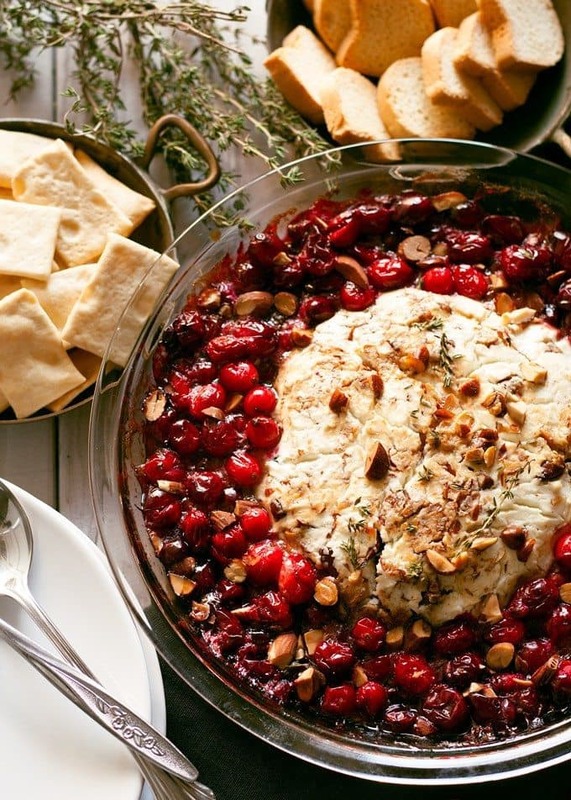 Baked Goat Cheese and Roasted Cranberry Appetizer from Honey & Birch is so classy and elegant. 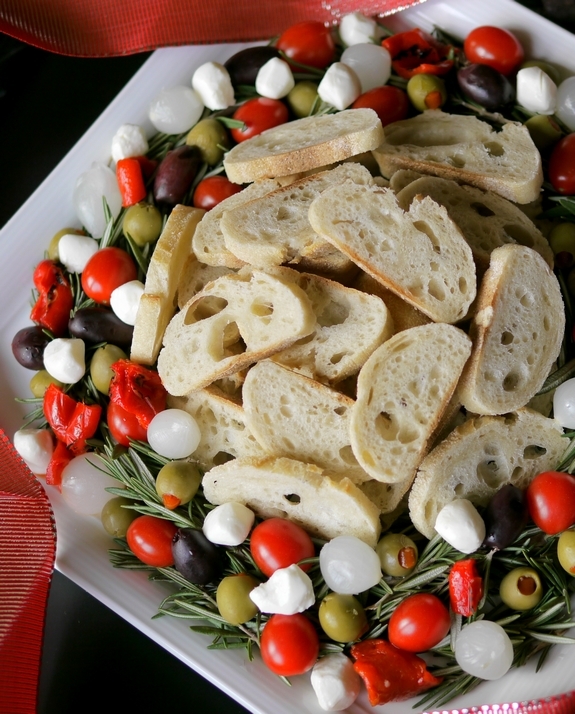 This Christmas Antipasto Wreath from Noble Pig is easy and festive. 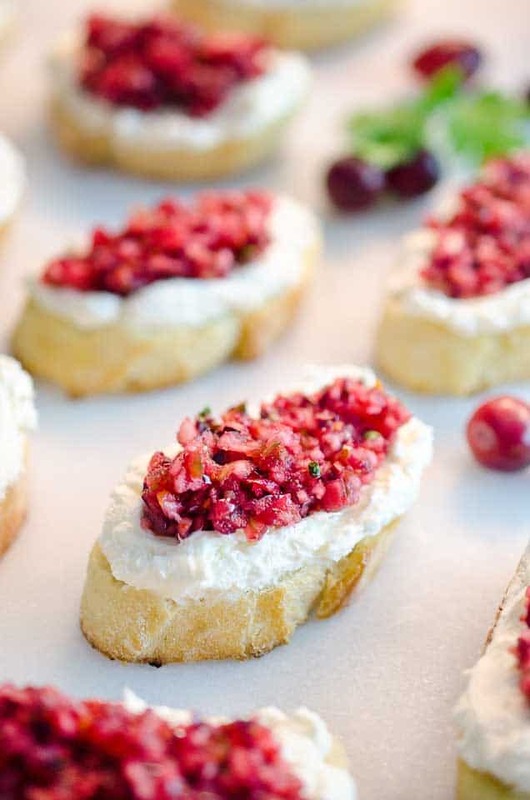 I’m in love with this Cranberry Cream Cheese Bruschetta from The Creative Bite! 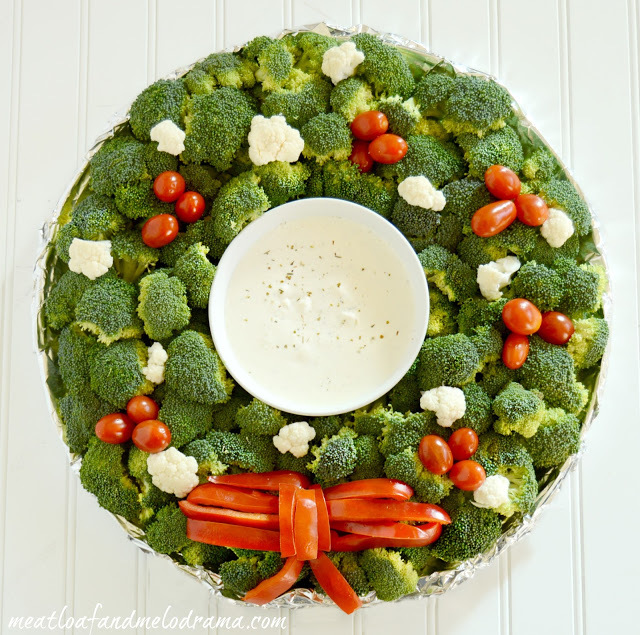 This Cheese-Wreath from Five Heart Home would look so festive on your appetizer table! 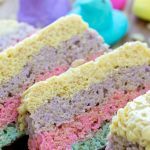 How adorable are these Mini Muffin Appetizer Sandwiches from Celebrations at Home? 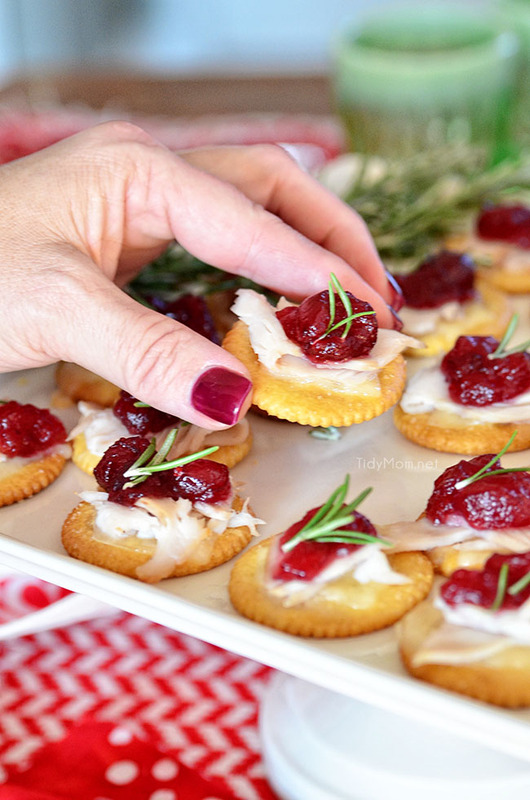 These Turkey & Cranberry Toppers from Tidy Mom couldn’t be more simple to make and will be a hit at your next gathering! 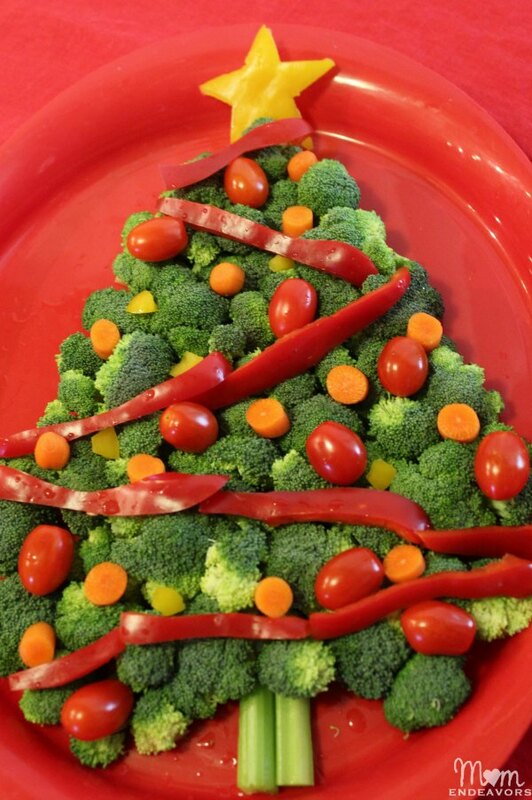 Kids and adults alike with love this fun Veggie Christmas Tree from Mom Endeavors! 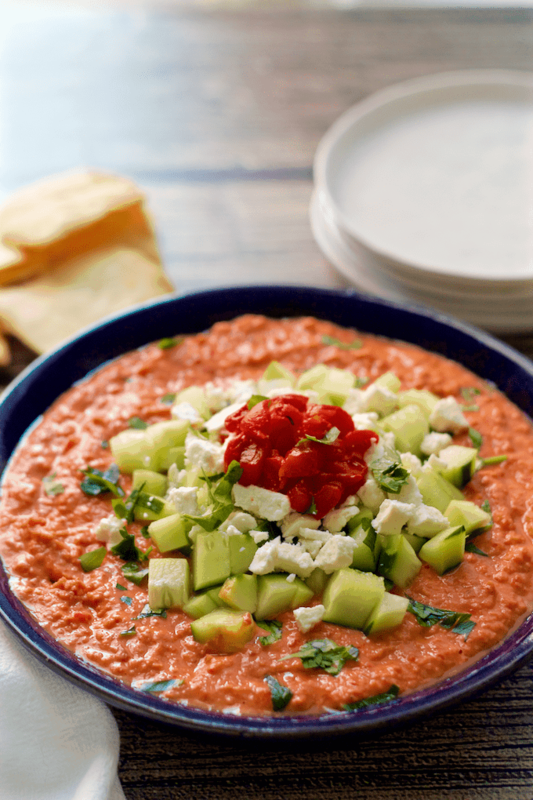 How about some Holiday Hummus from Family Food on the Table for a healthier appetizer? 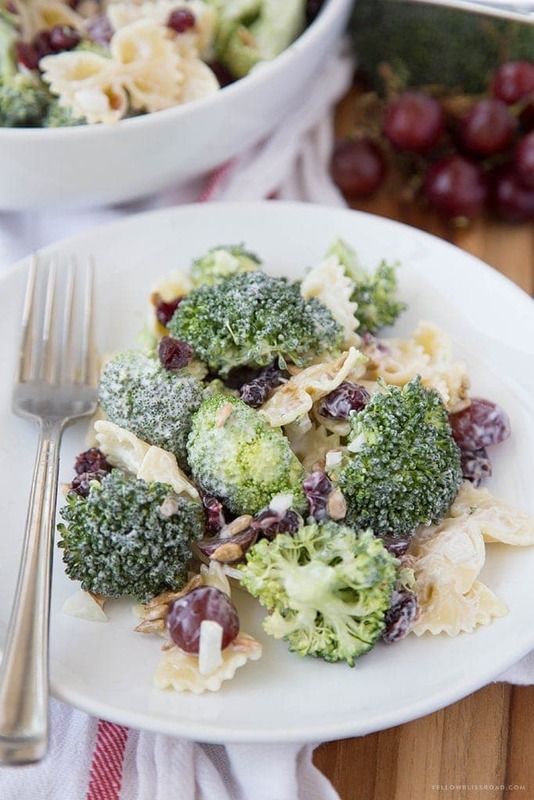 Fresh Broccoli Salad – The bright green of the broccoli and the red grapes and cranberries make this a perfectly easy side dish. 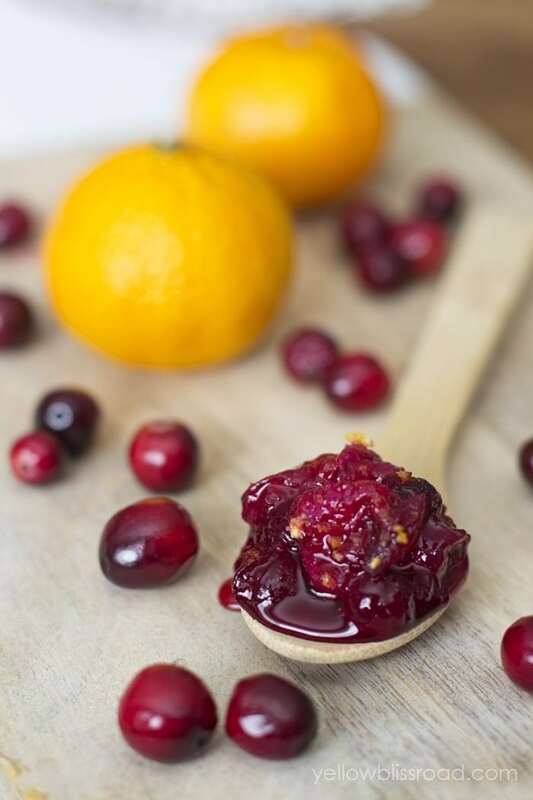 Orange Cranberry Sauce is made from scratch, and what’s more festive during the holidays than cranberry?? 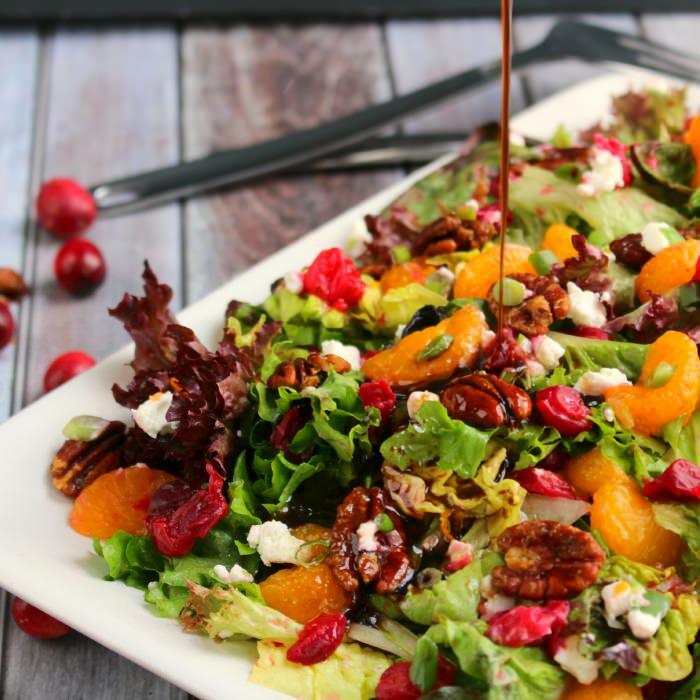 This Pear Pomegranate Salad from House of Yumm is a gorgeous and festive salad. 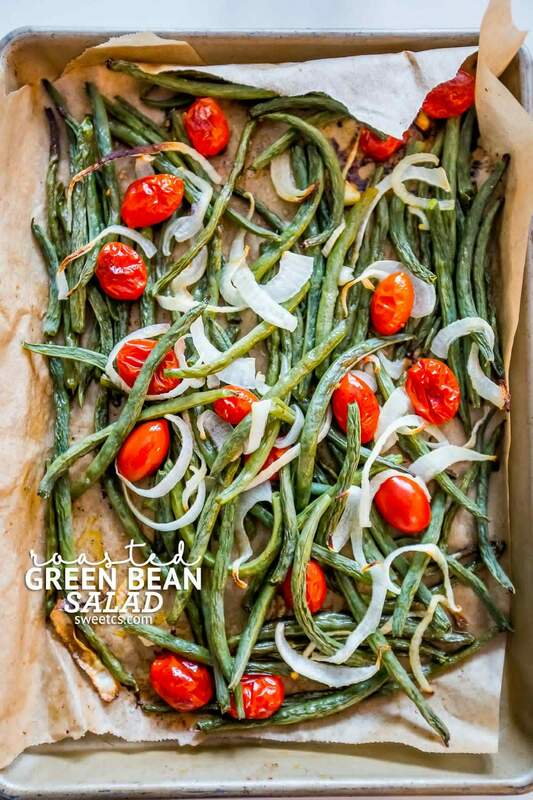 I’m definitely adding this Roasted Green Bean & Tomato Salad to our holiday menu! 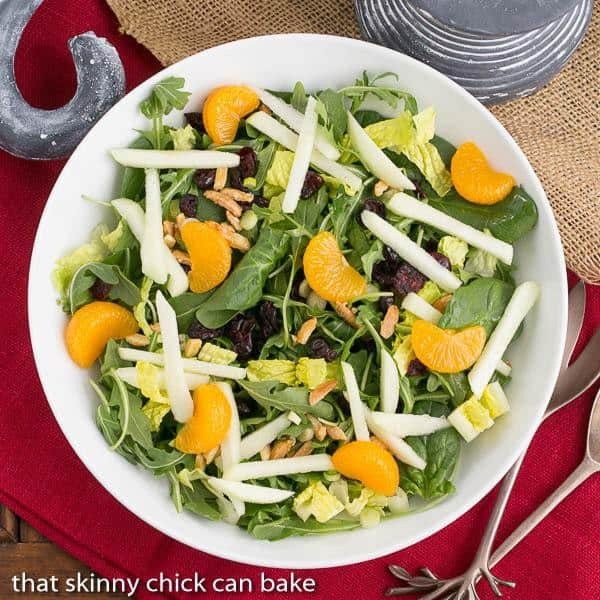 This festive Winter Salad with Oranges and Cranberries from That Skinny Chick Can Bake is the perfect start to your Christmas dinner. 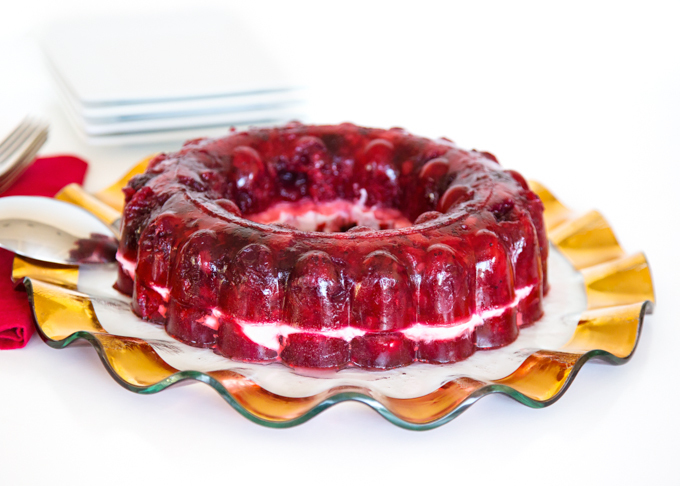 You can’t have a holiday meal without a Jell-O Salad and the Cran Raspberry Jell-O Salad from Joy in Every Season sure fits the bill! 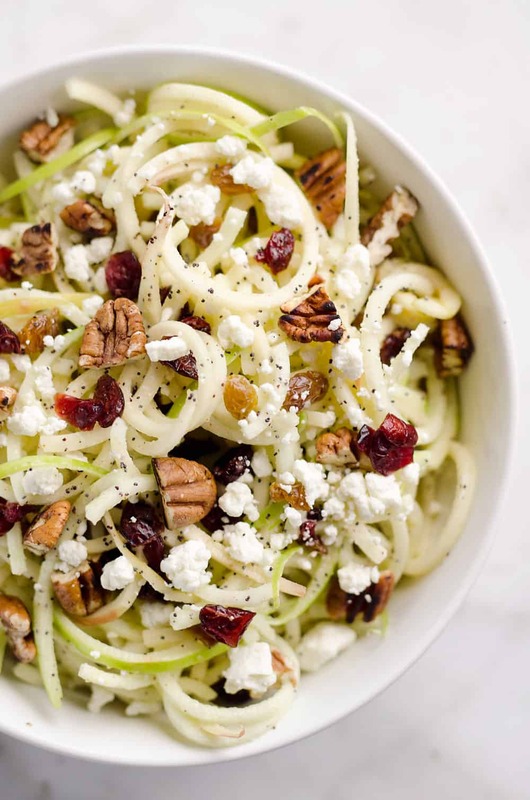 Fresh and delicious should be the name of this Spiralized Apple & Cranberry Salad from The Creative Bite! 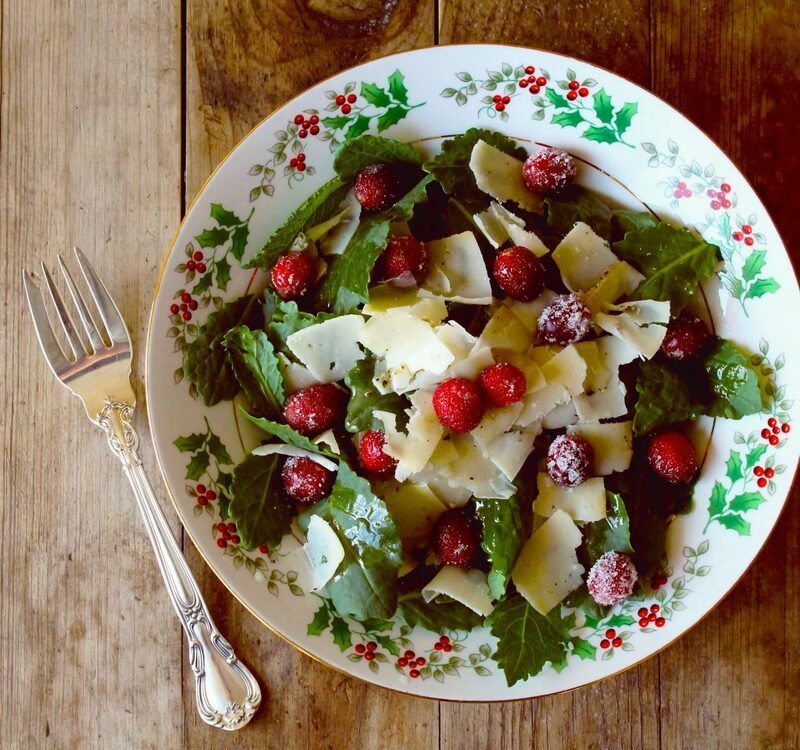 I’m in love with the idea for this Sugared Cranberry Salad from Foodtastic Mom! 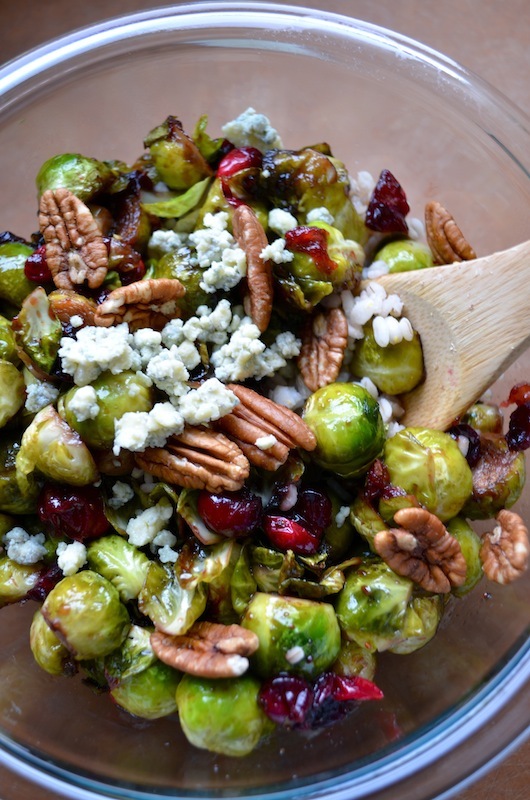 Add a healthy side dish to your festive holiday menu with these Brussel Sprouts with Cranberries and Pecans from Rachel Schultz on Homemaking. 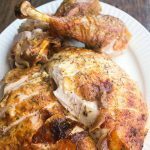 More Goat Cheese please! 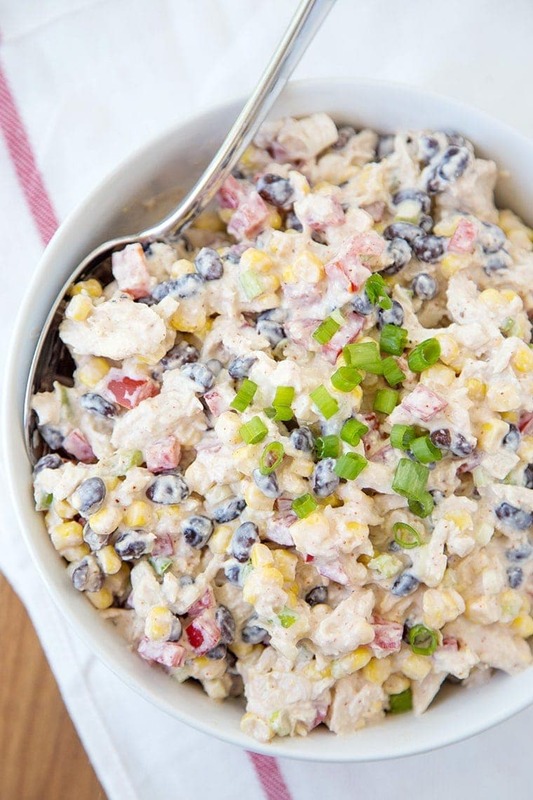 You’ll love this Cranberry Citrus Salad with Goat Cheese & Pecans from Delightful E Made. 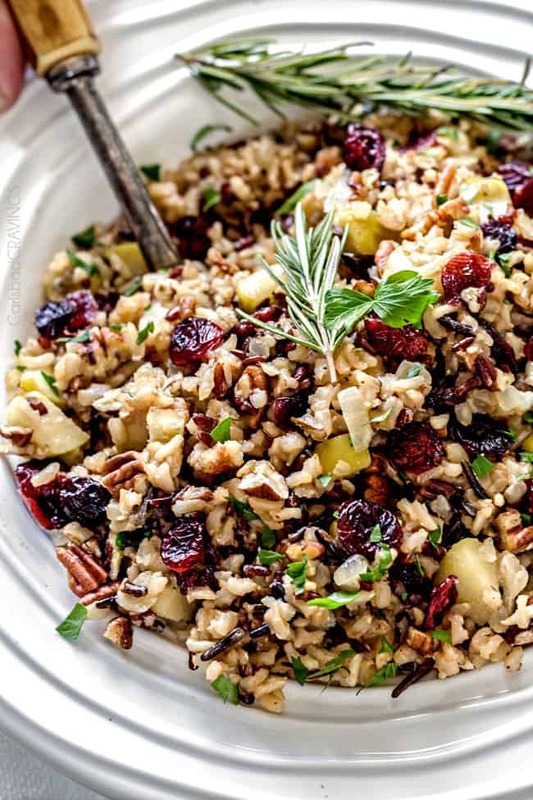 This is the all around perfect side dish from Carlsbad Cravings – Cranberry Apple Pecan Rice Pilaf! 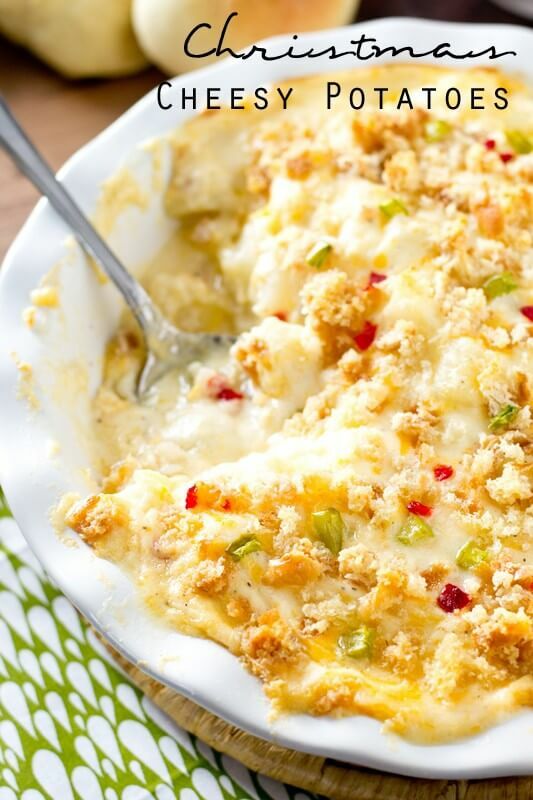 Honeycrisp apples are our favorite and this Holiday Honeycrisp Salad from Five Heart Home looks delicious! 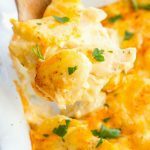 Christmas Cheesy Potatoes from Tastes of Lizzy T are a winner for sure. 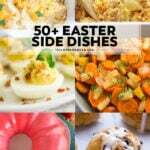 For more holiday round ups check these out! Love it Kristen!!!.. Happy Holidays.